Bring your weak and brittle hair back to life with this wonderful invigorating shampoo. 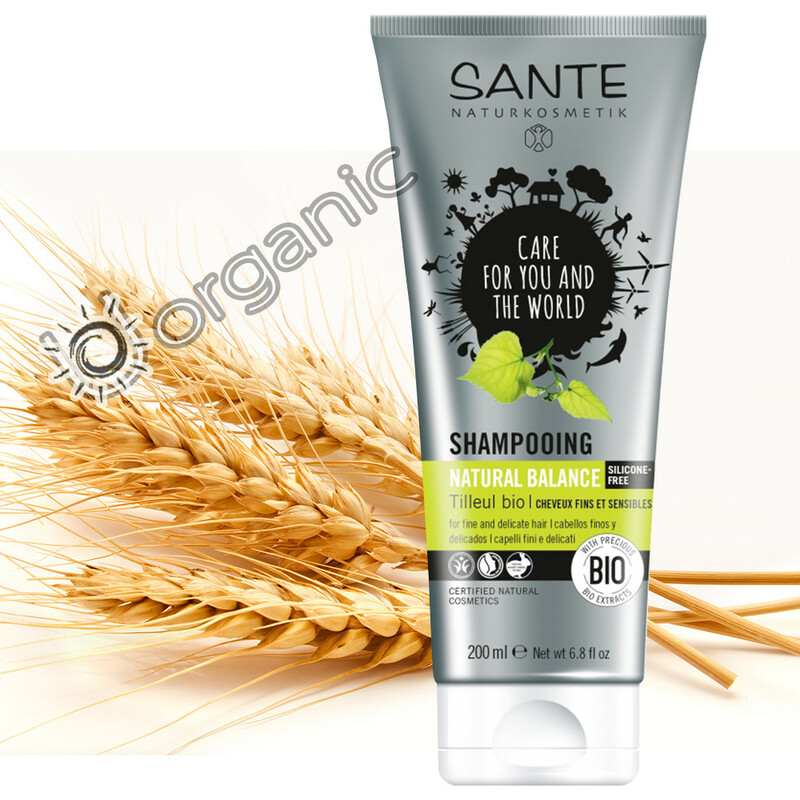 Sante Shampoo Natural Balance contains organic linden leaf extract, wheat bran and silk protein, all chosen for their ability to cleanse and strengthen hair and to bring vitality and bounce back to your dull and lifeless locks. Sometimes harsh shampoos with chemical ingredients can dry out your hair and scalp and leave it looking irritated, flaky and brittle, such as those that contain synthetic colourings, preservatives, perfumes and other such ingredients. Instead, use the natural formula of Sante Natural Balance shampoo to moisturize your scalp in a gentle and natural way which will leave the natural balance of your skin intact. This gentle and mild formula is suitable to be used every day, so why not start your day off with an invigorating cleanse with this botanical shampoo so that you will be able to enjoy gloriously soft and bouncy hair all day long. Ingredients: Aqua (Water), Coco Glucoside, Alcohol*, Glycerin, Disodium Cocoyl Glutamate, Sodium Cocoyl Glutamate, Glyceryl Oleate, Sodium PCA, Xanthan Gum, Triticum Vulgare (Wheat) Bran Extract, Tilia Cordata Flower Extract*, Arginine, Hydrolyzed Silk, Parfum (Essential Oils), Phytic Acid, Citric Acid, Citral, Limonene, Linalool, CI 75810 (Titanium Dioxide) *- certified organically grown Key ingredients: Organic Linden, Wheat.